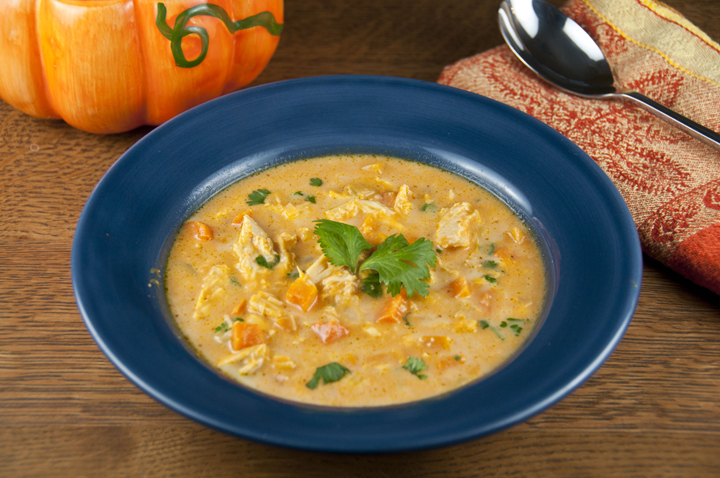 This easy pumpkin soup is made with chicken, pumpkin puree, chicken stock, and fresh vegetables Cream and cheese are stirred in at the end for added richness. The perfect fall soup! 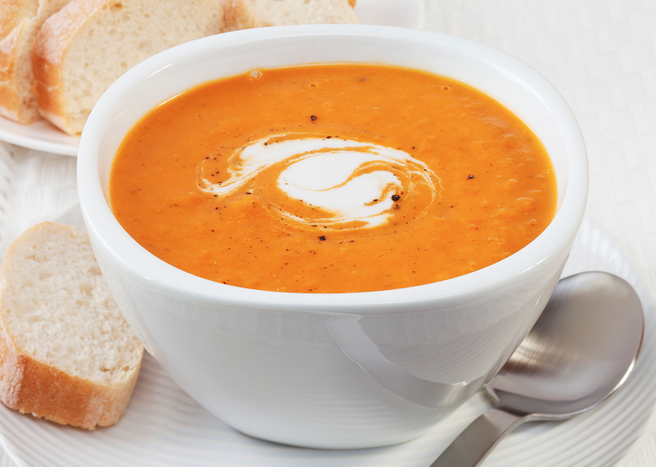 Pumpkin is at it’s best when it’s whipped into this creamy, cold-weather soup. This soup is seriously good stuff. The pumpkin flavor is pretty subtle and it can stand it’s own as a dinner. 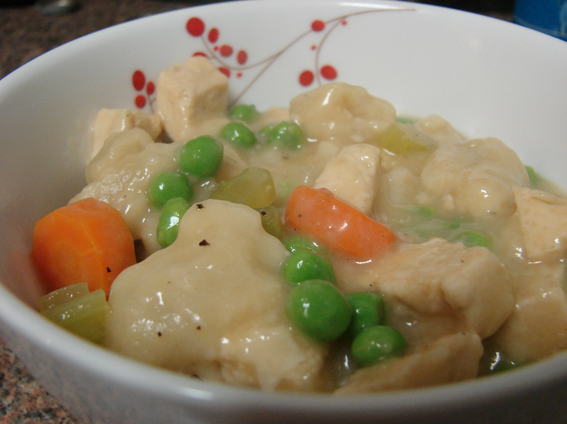 My favorite thing about this soup is the addition of the chicken which makes it more of a filling meal, along with the veggies, and eliminates the need for side dishes, etc. This goes great with a side of crusty bread, beer bread, corn bread muffins, etc. These flavors just WORK. Head over to Wishes N Dishes for this yummy recipe! Soup doesn’t get any easier than this. The slow cooker does all the flavorsome work (I mentioned last week I rediscovered this small kitchen appliance as my new best friend). Just open the lid and add ingredients as needed. This dish is so good I’ve made it four times in the last 3 weeks. 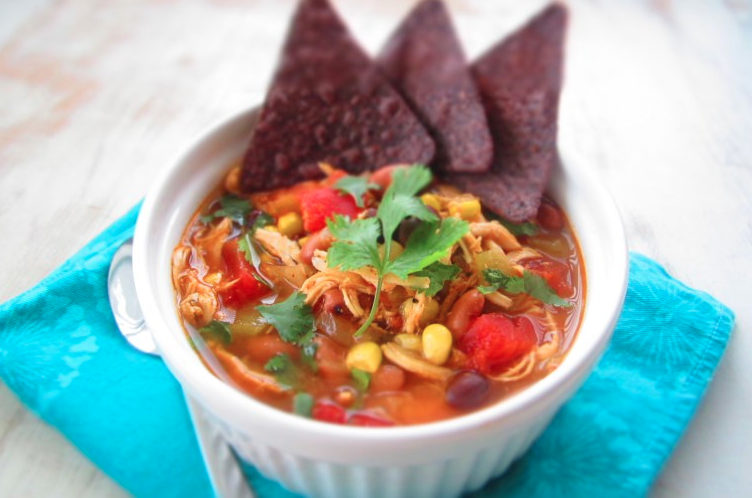 Chicken Tortilla Soup ~ so simple but elegant with beautiful toppings like fresh avocado and blue corn tortilla chips. I served a side of mini cornbread muffins with pure golden honey, a southwest layered salad with yogurt chipotle dressing and large bowl of organic blue corn tortilla chips. Filling. Warm. Healthy. Delicious. Head over to Repurposed Life for this great recipe! 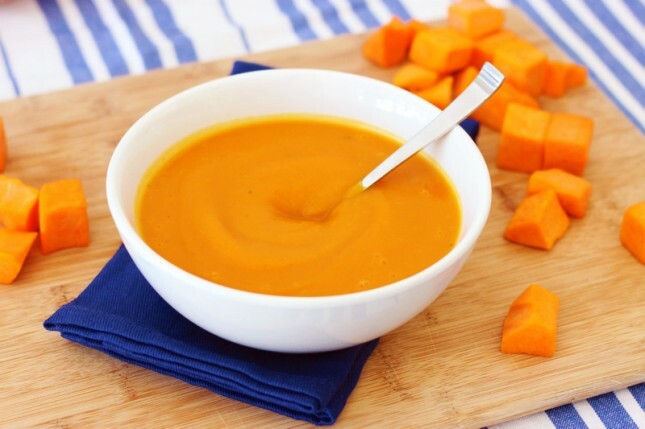 Ginger Butternut Squash Soup – 5 Ingredients, 30 Minutes, Only 110 calories! You will fall in love with this easy recipe! Head over to Brit + Co for this delicious soup recipe! You just can’t beat a steamy pot of soup bubbling on the stove during a dark, cool evening. 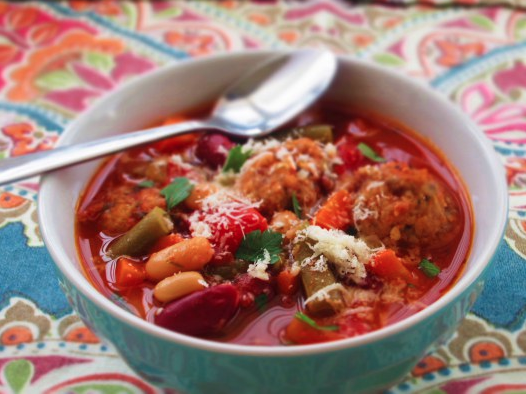 My Italian Meatball and Vegetable Soup is healthy, but won’t leave you hungry after a long day at work. It’s packed with a variety of vegetables and tasty, homemade turkey parmesan meatballs. It makes a big batch for freezing or having friends over for a rustic dinner. Serve with some crusty wheat bread for dipping, a big green salad tossed in light vinaigrette, and you’ve got an easy meal for not a lot of money. Add any vegetable you’d like to this flavor filled soup. The meatballs can easily be made ahead, and the soup is even better leftover after setting in the fridge a day or two. Head over to Repurposed Life for this delicious recipe, now! This easy and fast version of classic chicken noodle souptastes like it’s been simmered all day but only takes about an hour from start to finish. Brown bone-in chicken pieces, and then sauté carrot, celery, and onion with the flavorful browned bits in the saucepan. Add chicken broth and simmer until the chicken is cooked all the way through and the vegetables are tender. 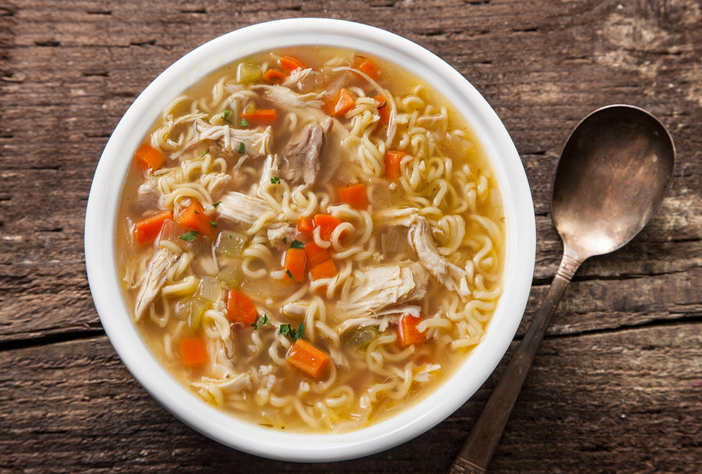 Shred the chicken, add it back to the soup, and toss in a block of instant ramen for an easy, no-boil solution to noodles. Head over to Chow Hound for this amazing recipes and their other delicious recipes too! This slow cooker recipe is easy to make and feeds a crowd! Plus, it's healthy too! This recipe uses lean ground turkey, black beans, and red kidney beans. 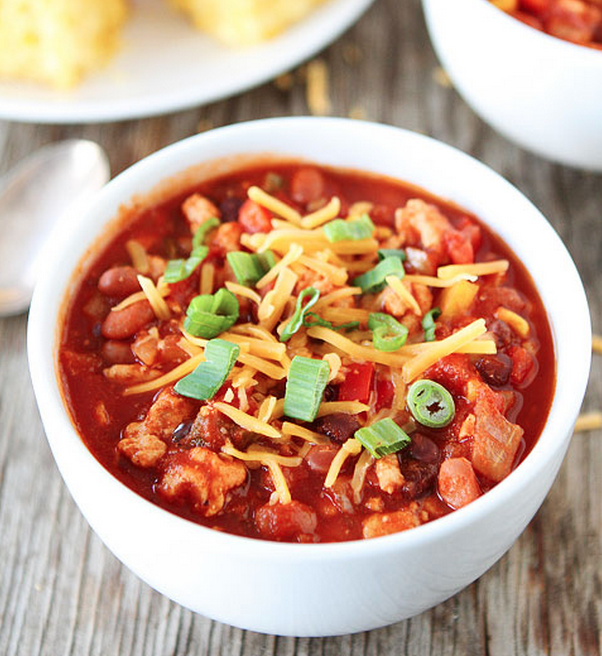 This chili is a protein powerhouse! And they throw in some veggies, to for an extra healthy boost. The chili simmers away in the slow cooker, while you go about your day. We suggest topping this chili with green onions and shredded cheddar cheese, and preparing a batch of cornbread to go with it. Your whole family will love this turkey chili! Head over to Two Peas and Their Pod for this great recipe. How to make a creamy pumpkin soup + recipe! Make pumpkin soup with sweet, sugar, pie, or cheese pumpkins (small baking pumpkins). Add onions and potatoes for a sweet-savory flavor or substitute tart apples for the potatoes for a sweet-tart soup. Small pumpkins are sweeter, meatier, and have less fibrous flesh than larger ones. Roasting pumpkin in advance of preparing soup will add deep flavor to the soup. Here’s how: Preheat the oven to 400°F/200°C; prick the pumpkin around the top with a fork several times; brush the pumpkin with olive oil and bake for 45 minutes or until tender; allow the pumpkin to cool—there will be steam inside—then slice open and scoop out and discard the seeds; scoop out and chop the flesh. (If you have a large pumpkin, cut off two or three wedges, brush with oil, then roast the slices for 20 to 30 minutes until tender.) Head to Harvest to Table for this great recipe! 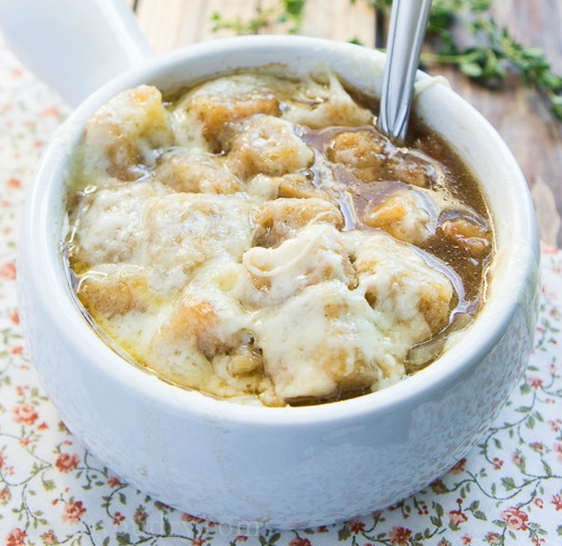 If you love that delicious bakery style French Onion Soup, then you’ll love this quick and Easy French Onion Soup Recipe! It’s so easy to throw this warming bowl of cheesy goodness together that you’ll be making it all winter long! If you’re not familiar with French Onion Soup, it’s caramelized onions that are infused with thyme in a beef broth. Then it’s topped with crusty bread and cheese then quickly broiled in the oven to get a melty gooey and bubbly top. It’s basically heaven in a bowl. Head over to I Wash You Dry for this incredible recipe. 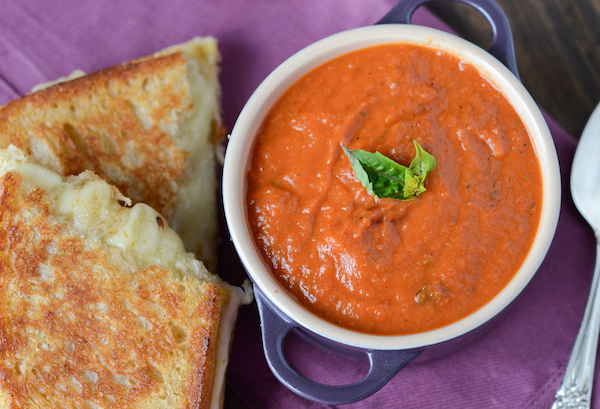 This tomato soup is a recipe that has been a long time in the making. I tried using fresh tomatoes, but it was double the time and the flavor wasn’t close enough to the one I love to get at Panera. “Creamy” is in the name, but the soup at Panera is really not all that creamy. So I learned to use only a little half and half. I added a little sugar to cut the acidity of the tomatoes and not too much basil. Is this the exact same soup you get from Panera? No, probably not exactly. However, it is dang close to it! And bonus? 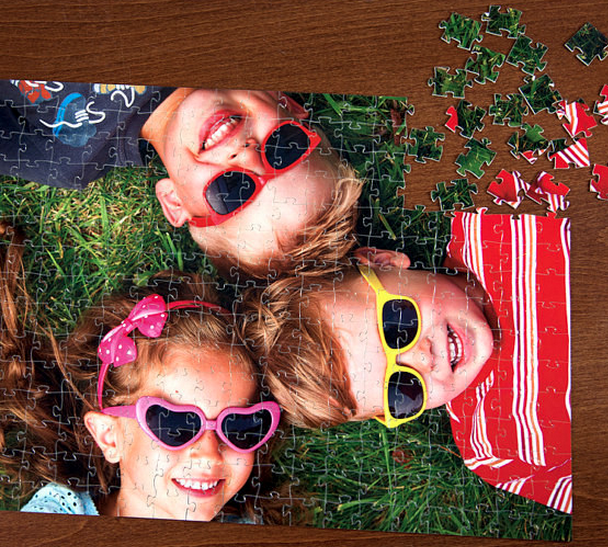 It only takes 30 minutes to make! The next time I make it, I plan on making a triple batch to freeze. That way whenever I am in the mood, I can just pull a bag out from the freezer! Head over to The Novice Chef for this great recipe!